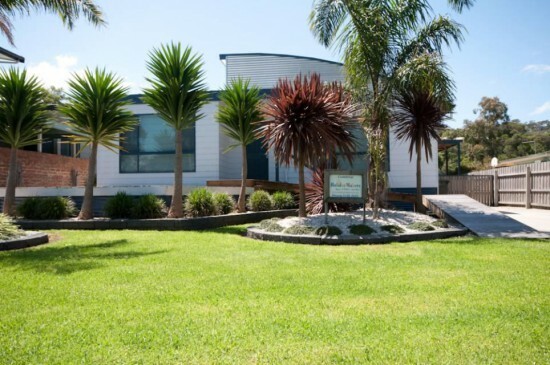 Cambroe is a holiday house in Lakes Entrance, opposite a golf course and situated close to the beach. This modern, open plan holiday home has a deck and a sunny courtyard that is fully fenced. It is just 5 minutes' drive from the Lakes Entrance shops, cafes and Eastern Beach. The kitchen comes equipped with a microwave, stove top, oven, dishwasher and a fully-sized refrigerator. For your convenience there is a gas BBQ.